Where your car is kept directly affects your chances of having an accident or becoming a victim of theft or vandalism. The likelihood of encountering these problems increases in larger, more densely populated cities, while such incidents remain relatively low in rural areas. No. While not all states require auto insurance, some have "financial responsibility laws" mandating all drivers must be able to pay for any damage or injury they may cause. However, liability insurance is still the best way for you to meet your state's financial responsibility requirements. UM and UIM policies are offered by law in all states, including no-fault states. In fact, some states require all motorists to carry this coverage in order to gain protection from inadequate insurance coverage of other drivers. Besides maintaining a clean driving record, consider investing in special safety and security features for your car. If you have been in an accident, consider taking a defensive driving course. Your insurance agent may be able to provide other tips. Yes. Liability and coverage for physical damage (i.e., comprehensive and collision) always follow your car. So, if a friend borrows your car and has an accident, you're still protected against the cost of damages or injuries. Plus, if the driver of your car is insured, his/her policy will also be available to cover the cost of damages and injuries. The same rules apply when you borrow someone else's vehicle -- your own insurance follows you no matter whose car you are driving. 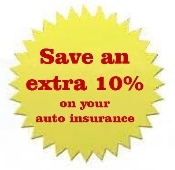 But the vehicle owner's policy is the key coverage if you have an accident. Am I covered for natural disasters or "Acts of God?" Comprehensive insurance, which covers you for fire and theft, generally covers you against damage by flood, earthquake, hail and other natural perils, except when your car is overturned (which is technically considered a collision). If you have specific concerns about the safety of your vehicle in natural disasters, contact your agent for information on catastrophic coverage. Usually, insurers that refuse to cover a claim have a strong legal reason for doing so -- even if you disagree. First, contact your agent if you feel you are being treated unfairly because your agent is your strongest advocate in insurance matters. But if it is a legal problem, you may have to hire a lawyer. Who decides what insurance to get when I make my house payment: the mortgage company or me? You do. The mortgage company collects a set amount from you each month in order to protect their investment. This money is put in escrow and covers your insurance and taxes when they fall due. However, the policy is still yours and you may select the insurance you feel offers the best coverage at the best rates. In fact, if you allow the mortgage company to choose, you might well end up paying more for your homeowners insurance. "Exact" coverage is tricky to define because there are different policies and about 900 insurance companies writing most of the property/casualty business in the United States. However, 80 percent of homeowners policies are based on a standard form. All homeowners policies cover two important areas: property and liability. These cover your structures and possessions - property insurance - and protect against personal liability. Personal liability, as its name implies, means you are legally obligated to pay money to another person for actions caused by you, your family, or your property. That liability extends to medical payments to others for injuries caused by you or your family. Most catastrophes are covered; flood and earthquake damage, however, are not covered by a standard policy and both are more common than many people realize.. Check with your agent about special catastrophic policies for normally excluded conditions like floods and earthquakes. There may be exclusions listed and defined in your policy such as neglect, intentional loss, "earth movement," general power failure and even damage caused by war. If you fail to take care of your property (e.g., a leaky roof), you may not be covered. Obviously, if you intend to lose an object or damage your property, there is no coverage. Does my landlord's insurance protects me? Generally, no. The property owner's insurance covers the building itself and seldom a tenant's possessions. Clarify this with your landlord before signing a lease. Is my landlord is liable if someone trips in my apartment and gets injured? Again, the owner's policy may specifically exclude liability for something that occurs within your rented residence. You could be held liable for injury to another person or damage to another person's property if the incident occurred within your rented residence. Yes, because the chance of suffering a loss begins with the first day of business. You can't get help after the fact. If you suffer a loss and have no insurance or have improper or insufficient coverage, there is very little, if anything, your insurance agent can do to help you. You must be prepared for the risks that are inherent in any business and the losses, sometimes catastrophic, that they can cause. Generally, there are two types of insurance - property and liability. Property insurance covers damage to or loss of the policyholder's property. And if somebody sued for damages caused by you or your possessions (other than a vehicle covered by your insurance policy), the cost of the suit -- both defending it and settling it if necessary -- would be covered by your liability insurance. It can. Many small businesses are now insured under package policies that cover the major property and liability exposures as well as loss of income. A common package policy used by many small businesses is called the Businessowners Policy (BOP). Generally, these package policies provide the small-business owner more complete coverage at a lower price than separate policies for each type of insurance needed. Your agent can help you decide which policy or policies are right for your business. Additional coverage for property, liability or perils or conditions otherwise excluded (e.g., flood protection) can be purchased as endorsements to a standard policy or as a separate, second policy called a difference-in-conditions (DIC) policy. Because businesses vary, it is impossible to have a standard policy to cover all contingencies. Also, some businesses, regardless of their size, do not fit the profile of a standard businessowners policy. For example, restaurants, wholesalers and garages have special liability needs that are not met in the standard businessowners policy. Your insurance agent can advise you of the best policy (or policies) to protect you and your business. Am I still covered by my parents' policies? It depends on the policy and its terms. For example, most health insurance policies cover insured's children up to age 18 - or to age 22 if the child continues as a full-time student. If you are over 18 and not a full-time student, you will need your own health insurance policy. Check with your insurance agent about specific insurance policies and any age restrictions involved. College students face many new risks as they head off to school; risks like theft of personal property and accidents due to driving long distances and attending and giving parties. And the nation's nearly 2 million first-year students and their parents may have the hardest time of all evaluating their needs and risks since they may not know what to expect. College and university campuses are not immune to property crime. The FBI's Crime in the United States 1995 reports that there were over 100,000 property crimes on the nation's college campuses reported to police - including burglary, theft, motor vehicle theft and arson. That same year, an average of $1,251 of property per offense was taken by thieves. Further, at least one in 10 college students revealed they had caused an auto accident in the last two years; one in four had a speeding ticket or other moving violation. All of these offenses help send students' auto insurance premiums through the roof. How many students are at risk? A recent survey indicates that there are as many as 8.9 million households with full-time college students under age 23 in the United States. For all of these students - especially the more than half who live away from home - having basic insurance including health, auto and renters, is one thing that can make the difference between a pleasant college experience and one that can spell financial disaster for students and parents. While depending on circumstances, many students can remain covered by their parents' homeowners, auto and health insurance throughout college, other students may have special needs and circumstances requiring that they purchase their own insurance before they graduate. How can an uninsured loss affect a student or parent? An uninsured loss such as the theft of a laptop, sudden illness or a liability claim stemming from a party mishap, can deal a devastating blow to a college student's limited bank account or the financial livelihood of a parent already struggling with high tuition bills. And contrary to popular belief, insurance can be very affordable. The risk of financial loss due to property and liability losses can be eliminated or significantly reduced with proper insurance. College students and parents should seek information together on protecting themselves and their property with renters, auto and health insurance from an experienced, professional independent insurance agent who will help them evaluate their risks and purchase the appropriate coverage.